This is one of my favorite asanas. Lay flat on your back and snuggle your arms under your buttocks palms down. 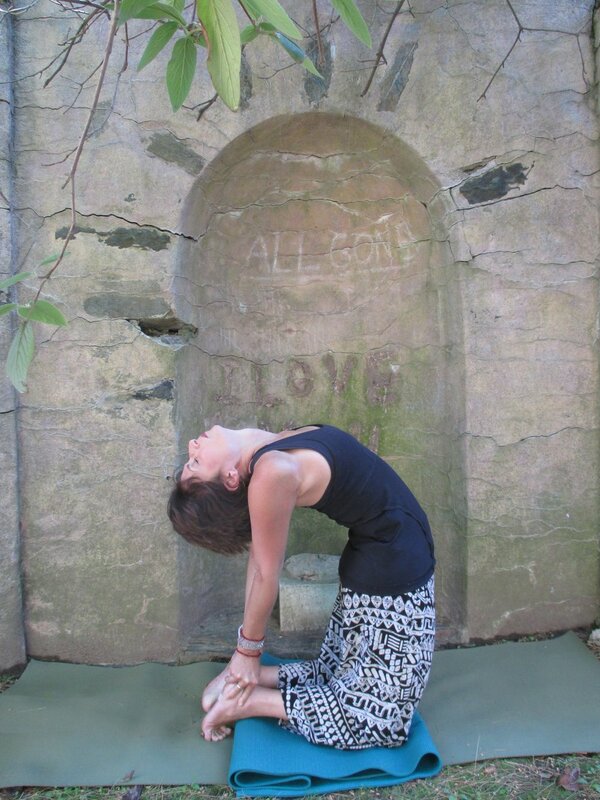 Notice how just by doing this your back naturally arches, your shoulders settle onto your back and your chest opens. Flex your feet. Firmly pressing on to your forearms bend your elbows come to a half seated position. Take a peek at your toes. Continuing to press into the earth with your arm bones puff your chest and slightly arch the back. When you feel you have expanded the chest as much as you can, gently lower the crown of your head to the ground. Breathe. Feel the uniqueness of this pose. To come out of the pose press into your forearms, tuck your chin towards your chest and slowly come to lie flat on your back. Rock your hips from side to side. Fish pose is said to be the healer of all that ails you. I hope you enjoy it as much as I do.